Commercial, Domestic Planning & Building North West London NW | Quality Property Care Ltd.
Get your dream home or office, get in touch with our professional builders company at 020 3746 4287 and get our experts on the job. We work on weekdays for offices, weekends, domestic clients, landlords, tenants and property managers. All of our builders are certified and fully capable, with special training, safety equipment and all the necessary certificates to perform construction in the Greater London area. The company Quality Property Care Ltd. has more than a decade of knowledge in offering building services to commercial owners and tenants, so it always makes sure that the builders services provided cause at little disruption to the normal working and functioning of a business premise, such as an office building, restaurant, office, store, pub, school, hotel, gym, community center and any other commercial property. This means that the builders can work after working hours or on weekends and bank holidays, so as to cause as little interference with the business. The usual builders services offered to offices and business premises is in the case of an end of lease, when the premises need to be prepared for the new tenants, and for the case of renewing and updating an existing premise, when the commercial customer needs parts or the entire premises modernised and refurbished. 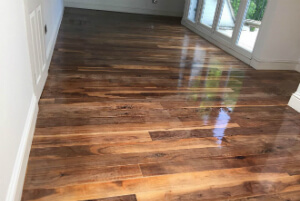 For more than fifteen years, Quality Property Care Ltd. has been offering the tenants, business or property agents, home owners and landlords in North West London NW a full range of prime quality, professional builders services. From total refurbishments of entire office buildings and hotels to repainting bedrooms, the company offers professional builders services, no matter whether the job is big or small. Offering all kinds of renovation and refurbishment services, the company has hired the best people to provide them to you in accordance to your requirements and your price range. Whatever property improvement you need, the experts in planning & building will answer your requirements and surpass your expectations. 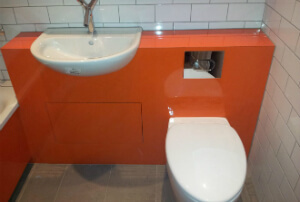 So, whatever you need from tiling, kitchen and bathroom remodelling, painting and decorating, all types of plumbing works from minor tasks through redesign of the plumbing system to gas related plumbing jobs, installing solid wood floorings, all types of electrical works and from minor tasks to complete rewiring, the company can offer it to you at competitive costs and with a top quality guarantee. To achieve good results that would be satisfactory to all customers, we take extra care to measure out the amount of rolls of wallpaper it would take. Carefully cut around corners and plaster any uneven spots, around skirting board, around doors, near window sills, light switches and power outlets. We generally do the wallpapering behind radiators, wallpapering around internal and external corners, wallpapering around door frames, wallpapering around window frames as well as staircase walls. Office refurbishment is a service suitable for corporate clients, property or office managers who are looking to improve or upgrade the floor plan of an office, freshen up the space and generally improve a certain property. For end of clients lease cases we can do replacement of floor coverings, repair and replacement of suspended ceilings, replacement of wall finishes, changes in the layout of the floor plan, which may require the removal and construction of new partition walls. We can also do the reconfiguring of lighting and other electrics around the home as well as the refurbishment or upgrading of bathrooms or washrooms and toilet cubicles. For existing premises we replace and repair suspended ceilings, upgrade conference and meeting facilities, re-do the flooring and decoration of different finishes and walls, as well as put in new office furniture. Get a free quote now. If you have the idea how to change and improve the property, let us realize it: fast, safely and on a budget! Rely on our refurbishment and builders services! We will be glad to send technicians to you and fulfil your dreamed project! Call us on 020 3746 4287 phone number right away!